The term “heart failure” does not mean that your heart has stopped or is about to stop working. However, Congestive Heart Failure (CHF) is a serious (and potentially lethal) medical condition where the heart cannot pump enough blood. CHF should be treated with appropriate medical care. In some cases, the heart cannot fill with enough blood. In other cases, the heart cannot pump blood to the rest of the body with enough force. This lack of flow can cause blood to accumulate in the vessels leading to the heart and may cause congestion or accumulation of fluid in various parts of the body. If the left chambers of the heart fail, blood backs up into the lungs, which causes lung congestion. If the right chambers of the heart fail, blood backs up into the legs and the liver, which causes congestion and swelling. This type of swelling is called edema. CHF is typically accompanied by an enlargement in the size of the heart. Symptoms of heart failure range from mild to moderate in severity and may include shortness of breath, fatigue, and weakness (especially upon exertion or with exercise). CHF patients may also experience heart palpitations and dizziness. Treatment of congestive heart failure (CHF) usually involves a program of rest, proper diet, modified daily activities, and prescription medication (such as ACE inhibitors, beta blockers, digitalis, diuretics, or vasodilators). Coronary artery disease (CAD). CAD is a disease of the arteries that supply blood and oxygen to the heart, which causes decreased blood flow to the heart muscle. If the arteries become blocked or are severely narrowed, then the heart becomes starved for oxygen and nutrients. Heart attack. 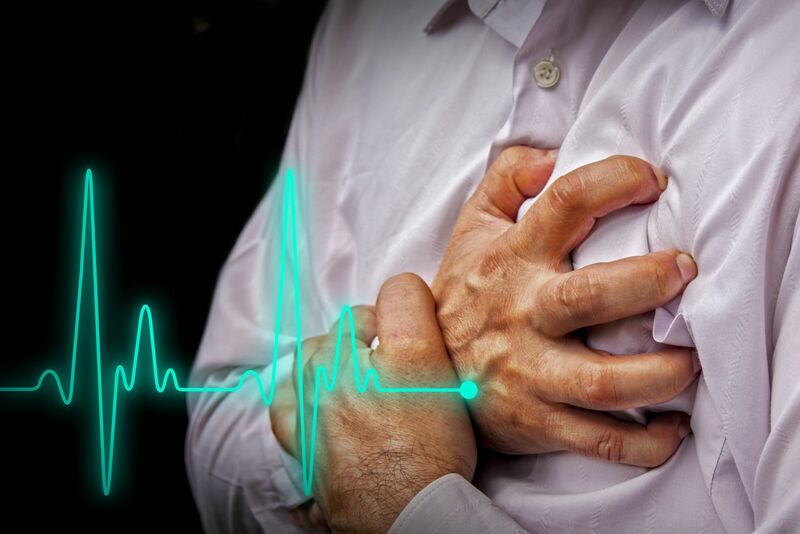 A heart attack occurs when a coronary artery is suddenly blocked, which stops the flow of blood to the heart muscle. A heart attack damages the heart muscle, resulting in an area of the heart that is scarred and does not function properly. Cardiomyopathy is damage to the heart muscle from causes other than artery or blood flow problems. Examples include infections or alcohol or drug abuse. Other conditions that overwork the heart. Other medical conditions such as uncontrolled hypertension / high blood pressure, valve disease (or valvular heart disease), pericarditis (or pericardial heart disease), endocarditis or myocarditis (where the heart muscle, valves, or surface tissue become inflamed), thyroid disease, kidney disease, diabetes, or congenital heart defects present at birth can all cause heart failure. These types of causes eventually cause an enlargement of the heart and lead to congestive heart failure. The long term disability insurance adjuster assigned to your claim will evaluate the entire claim file to determine whether your CHF qualifies for disability under the subject LTD insurance policy. To qualify for benefits, you must show that your medical condition renders you “totally disabled” as that term is defined under the policy. You should try and provide as much objective medical evidence showing the extent of your CHF as possible. Objective evidence may include evidence of either systolic or diastolic heart failure. the heart’s left ventricular end diastolic dimensions are larger than 6.0 cm. normal or elevated ejection fraction during a period of stability (i.e., not during an episode of acute heart failure). Evidence of episodes of heart failure and fluid retention that required emergency room treatment or hospitalization. The insurance company will consider the effect of your heart condition on your capacity to work or perform routine daily activities. The adjuster handling your claim will give you a rating of the type of work he or she thinks you can do, called your residual functional capacity (RFC). Your RFC will rate your ability to do sedentary, light, or medium duty work. For example, if your doctor has limited you to no lifting more than 5 or 10 pounds at a time, your RFC will be for sedentary work. Or, if your exercise tolerance test shows you can only perform very little physical exertion before you experience symptoms (such as shortness of breath, chest discomfort, heart palpitations, or confusion), you will probably be assessed with a light RFC. Next, the insurance company will determine whether you can work given the limitations of your RFC. For example, if you are unable to sit, stand and walk for at least eight hours a day, then you will be assessed with a “less than sedentary” RFC and disability will be granted. If your LTD insurance company has wrongfully denied or terminated your long term disability claim, you should contact an attorney experienced in ERISA / LTD claims. Call 850-308-7833 for a consultation with Mr. Ortiz who has experience in handling long term disability claims.